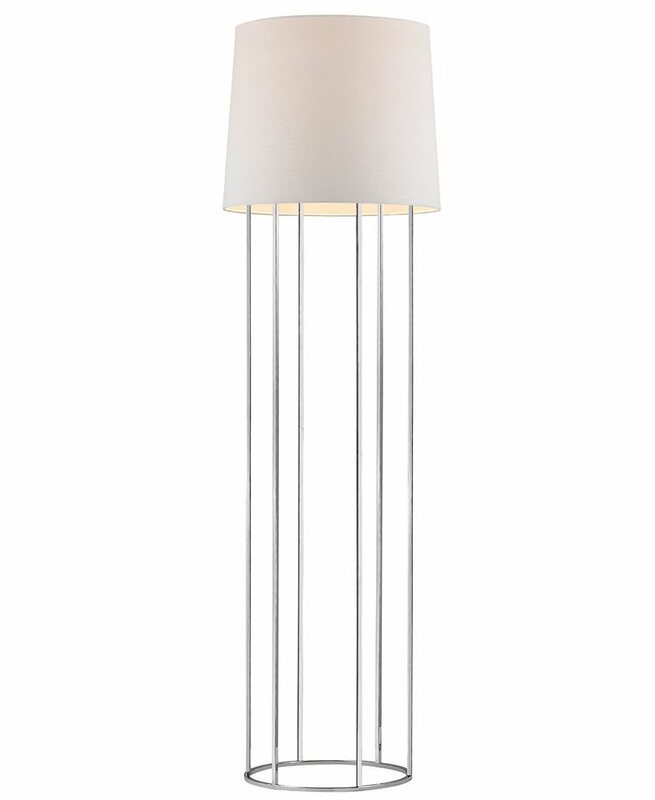 Chic barrel framing forms this elegant lamp in polished chrome. 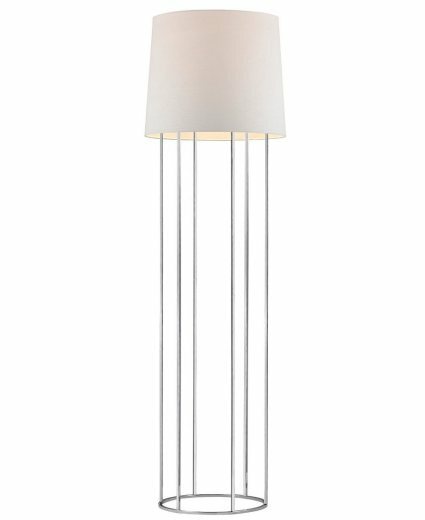 Traditional yet modern, this lamp is topped with a faux silk shade in white. This is the perfect addition to your living space. For use with one 150W bulb. Three way switch.